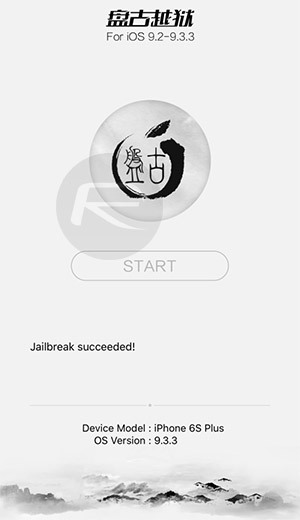 As you may be aware by now, the more mainstream English version of the new Pangu Team jailbreak is officially out for everyone, and in addition to support for the English language, it works on Windows, Mac and Linux and has also been updated to follow a different jailbreak process. Rather than all being done in a single desktop-based interface, users are now asked to use a tool called Cydia Impactor by Saurik to digitally sign an IPA file by Pangu that is then installed directly to the device in order to perform the jailbreak via a sideloaded app. The changes exist, but of course, we are going to walk you through the process. Let’s get right to it. Before we get into the details, it is important to understand that the jailbreak is still a semi-untether one, which means you will have to re-jailbreak using Pangu app on the device after every device reboot (not respring). No computer will be required for this. However, as Pangu tells us, “the certificate will expire in 7 days.” for the sideloaded Pangu app if you use regular free Apple ID for signing, in which case you will need to re-sideload the Pangu app by first signing it again using Cydia Impactor. Those using Apple Developer account IDs will have their jailbreak last them for 1 year after which they will have to do the process again via Cydia Impactor. It’s important to note that you don’t have to reinstall jailbreak tweaks after every 7 days or 1 year, only need to resign and re-sideload the Pangu app using Cydia Impactor. Supported device: 64-bit devices (iPhone 5s, iPhone 6s/6s Plus, iPhone 6/6 Plus, iPhone SE, iPad Air 2 & 1, 12.9-inch & 9.7-inch iPad Pro, iPad mini 4, 3, 2, and iPod touch 6). 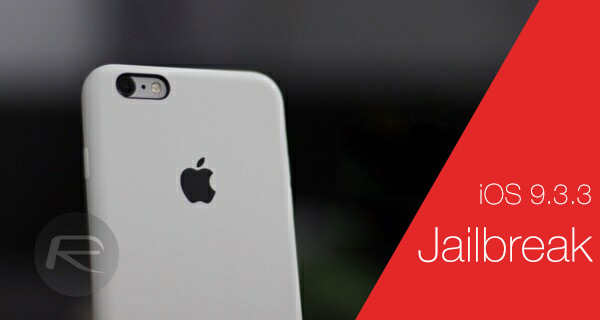 Supported firmware: iOS 9.2-9.3.3. We recommend updating to iOS 9.3.3: Download iOS 9.3.3 IPSW For iPhone And iPad [Final Version]. Access to the Pangu jailbreak IPA file (NvwaStone_1.0.ipa) and Saurik’s Cydia Impactor utility for Windows or Mac. You can get both from here: Download Pangu iOS 9.3.3 Jailbreak For Windows, Mac, Linux [English Version]. Disable Passcode/TouchID/Find My iPhone on the device. Windows or Mac computer with latest version of iTunes installed. Valid Apple ID: Free from appleid.apple.com, or paid Apple Developer account from developer.apple.com. Step 1: Run the Cydia Impactor tool for Windows or Mac. Step 2: Connect the iOS device to be jailbroken to your computer via a USB cable. Step 3: With the Cydia Impactor app interface visible, drag the NvwaStone_1.0.ipa file you downloaded earlier into Cydia Impactor, and make sure that your iOS device is recognized by the app as seen in the image below. Step 4: When presented with an “Apple Developer Warning“, click on the OK button to continue. Step 5: When prompted to enter an Apple ID Username, enter the email address associated with an Apple ID. Click OK to continue. Pangu/Saurik do state that your ID will be safe and is used simply for the purposes of signing the app’s certificate, but we advise you create a secondary Apple ID for this purpose. You can make free one from appleid.apple.com. Step 6: Enter the password associated with that Apple ID account, and then click OK to continue. Step 7: The Cydia Impactor file will then go through an internal preparation process and then sign the IPA file. If all goes according to plan, the Pangu jailbreak app will then be automatically installed to the connected device. However, don’t run it just yet. Step 8: On the iOS device, head to Settings > General > Device Management (on iOS 9.3.3) or Settings > General > Profile (on iOS 9.3.2 and below). Tap the profile named as the Apple ID you provided in Step 5 above and make sure that you establish it as a trusted developer. 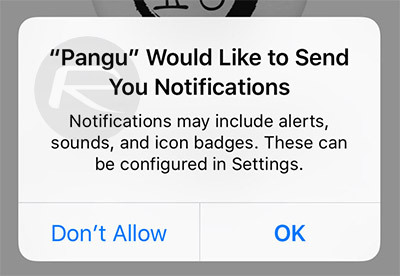 Step 9: Exit out of the Settings app, and then simply launch the newly installed Pangu app from the Home screen, which will prompt you to allow it to send notifications. Click the OK button to proceed. Step 10: When in the Pangu app, tap on the START button to begin the jailbreak process, and immediately lock the device manually by pressing Power button. Step 11: Wait patiently as the jailbreak payload is injected into the device. Once done, you will be notified on the Lock screen that the jailbreak was successful, followed by an automatic respring of the device. Step 12: Once the device has rebooted back into iOS, you can go ahead and launch the Cydia app to begin installing jailbreak apps and tweaks. 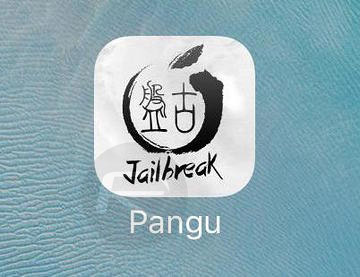 Again, as mentioned earlier, after every reboot, you will be required to re-jailbreak with Pangu app. 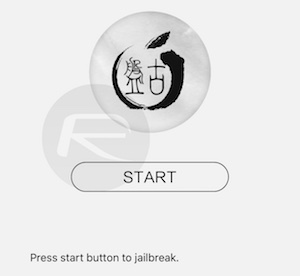 You can find instructions for that here: Re-Jailbreak Pangu / PP On iOS 9.3.3 After Reboot, Here’s How. Also, after every 7 days when using free Apple ID, you will have to do the process again using Cydia Impactor. If Apple Developer account is used, you will have to redo Cydia Impactor process after 1 year. Only 64BITS is supported, yours is 32 bit so it won’t work! really important question. so i jailbroke using the chinese version. how would i go about re-jailbreaking with the english version? would i just have to start from scratch? This doesn’t work on my iphone 6 plus. Pangu says everything’s fine but as soon as i press the cydia app it crashes immediately. I tried to reJB and still nothing. This means that your device is 32 bit so it’s not supported yet. You have revoked your certificate, so it is no longer valid. Why that? Someone can help me? Victor, don’t even click the “start” button. Just drag the NvwaStone_1.1.ipa to the impactor window and follow the directions from there. Upgrade’s application-identifier entitlement string (6EKVM449S8.CY-3CCDFB96-5C8D-11E6-B674-DB20BA03B730.io.pangu.nvwastone) does not match installed application’s application-identifier string (6EKVM449S8.CY-41B32EF4-5690-11E6-AFCF-D31ED5972383.io.pangu.nvwastone); rejecting upgrade. I followed the intructions, impactor didn’t give me any warning and I was able to step 11. But it’s been almost an hours and nothing happens when I hit the power button to see if it’s finished. Screen stays black… Should I wait more or the jailbreak obviously failed and I need to try and restore it somehow? Now i still have my kodi and cydia app however due to no pangu app i cant re-jailbreak it. I cant reinstall my jailbreak too.. anyone has any solutions? Remember to make sure you “TRUST” your computer before starting Impactor. Also, make sure you have gone into “settings/general/device management or manage profiles and trust the developers Pangu app that was installed. And on a side note, you must use the latest Pangu JB version because the first wasn’t compatible with the iPad Pro. iPad Pro 12.9 here as well and working great. Nearly all devices will not take anywhere near that long to complete. As long as its done correctly no steps are skipped. Also, you may want to check to make sure you are disabling “Find My iPhone” and “Turn Off Passcode” before attempting anything. Yes, your device will lock up on a black screen when trying to run the app from the device if those two things aren’t done. And if that does happen and nothing goes on for a minute than do a “power/home button reset” until you see the Apple logo and run the app again making sure you do not wait to lock the phone after tapping start. Turn off lock code and Find My iPhone. And make sure you are also locking the screen immediately when it tells you to. Hope this helps. As described in the tutorial, if YOU have any current active certificates they will be revoked upon completion of signing in during Impactor tasks. I have received the same error message. Please help. is this good or bad or normal ??? same problem Jordyn, ive re-jailbroken via pc three times now and the Cydia app still flashes then closes, sort of. It’s still running in the background, just not accessible. Anyone have a fix for this? When they say you have to re-jailbreak every 7 days, does that mean you just won’t be able to open Cydia, or do all your JB apps/tweaks stop working too? Nope I didn’t just wanted to know if someone knew the ETA on the 32bit devices. Thaks Rolf already knew that it was for 64bit yet had to try LOL the exictment ends as there is still no new updates for 32bits. You won’t be able to open Cydia PLUS your JB apps/tweaks will stop working. Did you by any chance have a jailbroken iPhone before? Because the same thing happened to me. I had a jb ios 8.3, decided to upgrade to 9.3.3 and noticed that the Cydia app was still there. I did the jailbreak etc and the cydia app kept crashing on me so I had to do a fresh restore, deleted everything then did the jb and voila cydia started working again. That was my final fix to Linda, had to reset my phone and reinstall. It’s been working well since then :). I was on the 9.3.3 jb when it froze up. How to delete? A iphone? Cool that there’s a jailbreak for 9.3.3 but I will hold onto my 9.0.2 (no reboot worriies And/Or no Dev account expiration). When re-running the Pangu app after rebooting, do we have to also turn off Find My iPhone/Touch ID/Passcode again? Or do we only have to turn off those things when doing the initial jailbreak when connected to PC (running Cydia Impactor and installing Pangu)? Only need to disable them prior to using Pangu app. Once successful you can re-enable them both. Wow…have had multiple success on multiple devices with this JB. Now, it will only successfully jailbreak but not install Cydia…WTF?? LOL, I knew people like you exists that’s what you think!! NOTE ME. All I wanted to know if there were any other alternative around which I could have missed. & when the jailbreak is out people don’t read the whole T&Cs it’s simply just to do it before it’s missed out. 2. And ALSO, within those 7 days, every time I just run the Pangu app (for example after powering off)? I follow the steps as described but when I press the lock button waiting for the magic to happen, my phone reboots instead. Can someone help me?